Photo by Dr. Stephanie Voshell. Botany & BRicks with prizes! As part of our Flora of Virginia Exhibit, we are offering this free youth contest to encourage interaction with plants. Youth from preK through 12th grade (or age equivalent) are eligible to enter. Prizes must be claimed in person on the Virginia Tech campus. All entries must be the youth's own work. The deadline for this contest has passed. Winners will be announced by March 7. Participants can choose from two categories: a brick creation with a plant theme or artwork featuring a combination of plants and bricks or minifigs. Each category will be split into two age classes (preK-5th and 6th-12th grade) for judging. The first, second, and third place entries in each of these combinations will receive prizes! One youth can enter both categories for their age class--so feel free to make a submit a brick creation and a brick drawing or photograph! Build a plant or something botanical with LEGO® bricks. Take a picture and enter the contest! Draw or color a scene that combines LEGO® bricks or minifigs with plants. Take a picture and enter the contest! 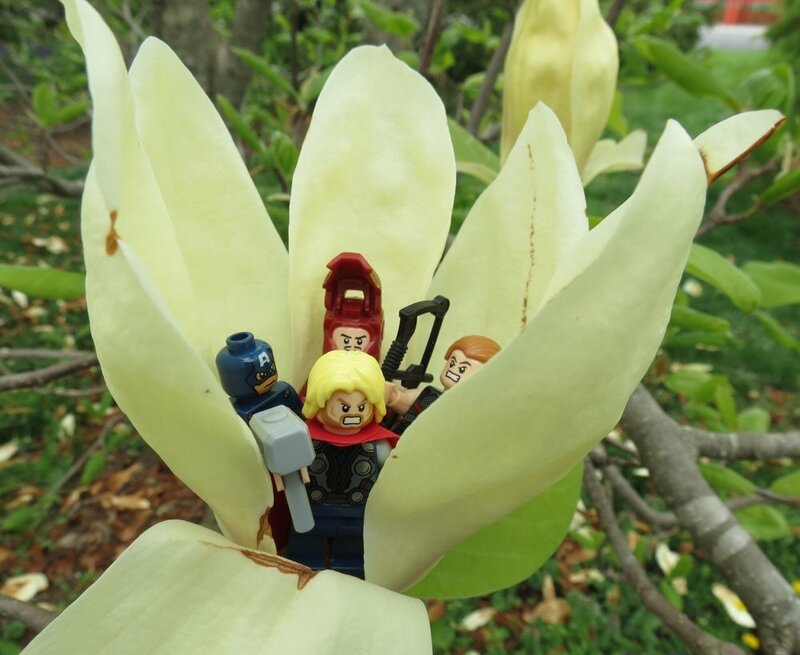 Create a scene that combines LEGO® bricks or minifigs with plants. Photograph it and enter the contest! All entries will be judged by a panel of three judges. Entries will be scored for originality, botanical content, and artistic merit (or visual appeal). Not sure what to do? Here are some LEGO® coloring sheets that could be decorated with botanical elements. And a collection botanical brick builds and botanical minifig photography to give you some ideas. Use your imagination and whatever plants you have on hand (or at our Christiansburg Library station)! Most of these were made by adults, so don't worry if your idea isn't as complicated! The entry period for this contest has closed. LEGO® is a trademark of the LEGO Group of companies which does not sponsor, authorize or endorse this contest.